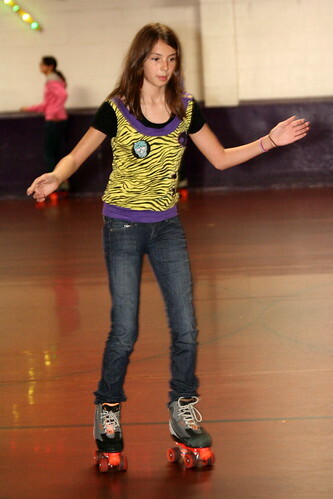 I think I’ve only been roller skating a couple of times in my whole life. All I remember of the last time is the feeling of my feet flying out from under me over and over again. I was young and single and skating with friends on the local college campus. If I had been of a mindset to pick up guys, falling down a lot would definitely have been a good move, because several different gentlemen came to my rescue whether I wanted it or not. My kids have definitely not inherited my aversion to skating. 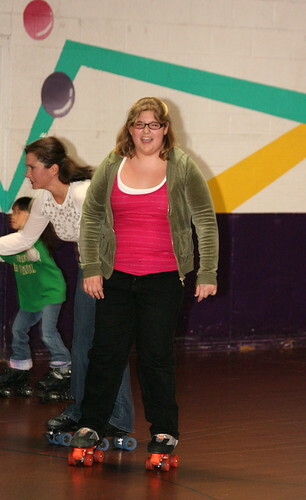 Although she’d only been once or twice herself, Isabella really enjoys skating. She had a birthday in December, and her best friend’s birthday is in January, so they decided on a joint birthday get together at the closest skate center. They insisted on planning everything themselves. I just provided driving service and less than $100. 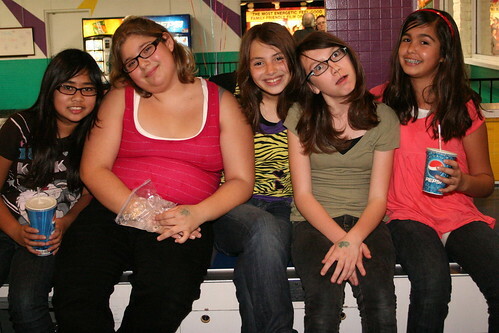 They skated (or hung on to the wall and inched forward a step at a time) for hours, then had pizza and cake afterward. I think they enjoyed themselves twice as much because they did it all themselves. ~ by bekaboo on January 26, 2009. Look at those happy girls! Way to go! I remember skating, gosh in the 80’s omg, AM I THAT OLD??? Holiday Skate Rink in Orange? The place looks familiar…great shots of them…skating is so much fun! I remember we’d spend endless days in our local roller rink when we were kids. I love it. I SO wish I knew how to skate. The few times I did, my way of stopping was to scream, flailing my arms wildly, and hit the wall. Fun! That’s great that you’ve raised such a savvy girl. I remember roller skating with my to be step sister the day before our parents’ wedding. We requested a song, Ghostbusters. Then the next year we went back and requested it again. The dj remembered us because it sure was a unique situation. Next to lovely little girls, one of my other favourites are pre-teens and teenagers. They are so interesting and full of life. My son and one of my daughters are Grade 7 Teachers, so the interest runs in the family. My other daughter is a City Planner (did not want to leave her out). 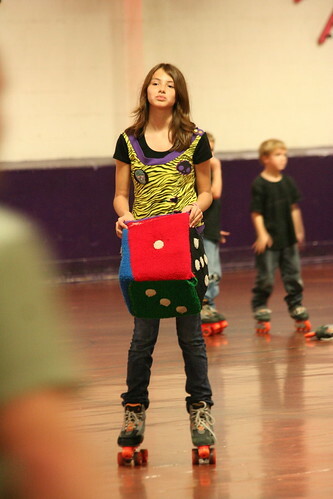 I’ve always wanted to learn how to roller-skate. I wonder if my arthritic knees could take it. I’m certain that the girls had more fun because they took ownership of the event; it’s way more satisfying that way. Based on another comment, do you live in Orange County?